We are leaders in manufacturing All Geared Lathe Machine. These all geared lathe machine made of the superior-grade raw material is widely in demand in Vocational Education Sector under Skill India Scheme. These machines are heavely used in Engineering Colleges, Polytechnical, Industrial Training Institutes all over the world. These machines are fully equipped as per the syllabus of Institutes. We offer these All Geared Lathe Machine in different models to meet the requirements of our clients. Our penchant to offer quality products as per the specifications of our clients has enabled us to grab a huge share of the market in both the domestic and international sphere. Our quality testing procedure starts from the initial stage of raw material procurement and goes on till the products are ready for dispatch. 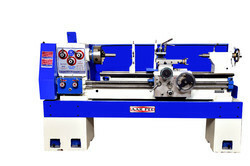 All Geared Lathe Machines Manufacturers & Exporters. Below are the listings of manufacturers and exporters of all geared lathe machines educational purpose. You can view company details & contact them directly through email, refine your search by product keywords, browse trade leads posted by All geared lathe machines manufacturers and view several other products and trade shows related to lathe machines. We are leaders in manufacturing and exporting heavily engineered All Geared Lathe Machine. These all geared lathe machine made of the superior-grade raw material is widely in demand by government organizations like Defence, Railways, Tool Room Purpose. The heavily engineered machine comes with a hardened & ground steel gears, which are mounted on precision spline shafts and offer smooth and excellent performance. 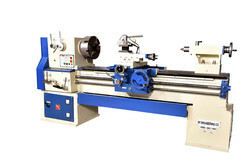 We offer these All Geared Lathe Machine in different models to meet the requirements of our clients.